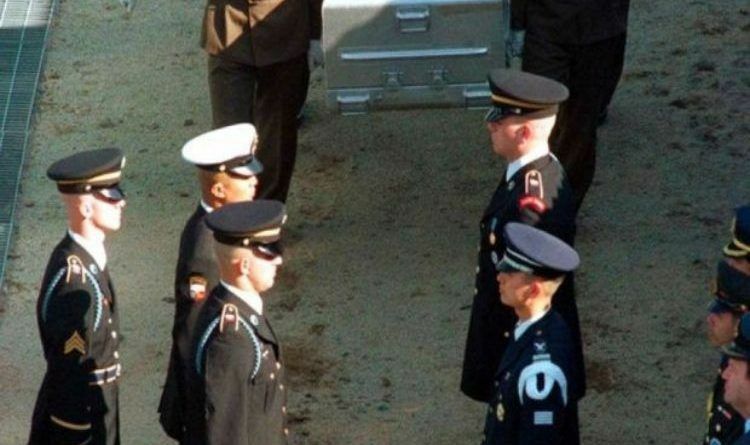 On Saturday, the U.S. military announced that it moved 100 caskets to the demilitarized zone between the two Koreas, to prepare for North Korea’s returning of the remains of U.S. soldiers who have been missing since the 1950-53 Korean War. Via Fox News: “U.S. Forces Korea spokesman Col. Chad Carroll also said 158 metal transfer cases were sent to a U.S. air base near Seoul, South Korea’s capital, and would be used to send the remains home. The cases will remain in the border village of Panmunjom for a few days until being sent into North Korea so the North can begin the process of returning the remains of Americans who were killed or died during the 1950s conflict, South Korea’s Yonhap News Agency reported. According to the agency tasked with overseeing issues POW/MIA issues, North Korea has as many as 200 sets of remains ready to be returned. The return of the remains was negotiated during President Trump’s preparations for his June 12 summit in Singapore with North Korean leader Kim Jong Un. Carrol denied a detail of the Yonhap report, which stated that U.S. military vehicles carrying more than 200 caskets were planning to cross into North Korea on Saturday. Carroll said in an email that the U.S.-led U.N. Command was moving “assets” to a U.S. air base in Pyeongtaek, South Korea, south of Seoul, and to the Joint Security Area at the border to prepare for the process. No official return has been set and it’s not exactly clear when the repatriation will occur, Stars and Stripes reported. It’s amazing that this is happening. It took almost 70 years and only got accomplished because of Trump! 13 Presidents have come and gone, and nothing like this has ever happened. If Obama had done this, he would be a hero, on the front page of every paper and news story in the country. If he had done half of what Trump has done for the Country, the media would be fawning over him every minute. But no…We move swiftly from one attack on the President to another to another. Thank you President Trump for getting this accomplished. No other president has done what you are doing.